Like steak? Beer? We do too. That’s why we created a yoga series that focuses on the physical benefits without all of the hymns, chants, and gongs. There’s no preaching, long meditation sessions, or painful postures. Our unique blend of Yoga uses a scientific, anatomy based approach that focuses on getting you results without all of the extra spiritual stuff. It’s Yoga For The Rest Of Us. Our unique take on yoga is designed for those of us who can’t touch our toes. It’s for those of us who have tight muscles and who need modifications they probably wouldn’t get in a group class. It’s for those of us who don’t relate to the typical yoga lifestyle. For those of us that want a great workout without words and phrases like melting heart, and be one with the universe. It’s for those of us who have been curious about yoga, but might be hesitant to try it out in a local class. Did that beer belly get a little bigger than you want? Are you brand new to working out, and have been wondering where to start? Are you hitting the gym for the first time in years, and don’t want to go too hard in case of injury? Are you wondering what to do on your rest days, especially when your muscles are really sore? Wondering how to incorporate yoga into your exercise plan? Are you searching for a workout that strengthens your back instead of hurting it, especially if you have joint pain and need a low impact workout to stay in shape. If you want to give your fitness a boost, then learn more now. No painful postures. No flexibility required. Yoga Boost was created for men and women of all ages, with modifications for anyone who isn’t very flexible. Whether you are a beginner to fitness who wants to get in shape, a fitness enthusiast who want to get the most of their “rest” day, or an athlete looking to enhance their performance, check out all of the workouts in this comprehensive yoga system! Start muscle recovery, start lower back pain relief, and start your metabolism! Introducing Yoga Start, a yoga video for absolute beginners, with modifications for those who can’t touch their toes. If you have been curious about yoga, then here is your chance to get started – without twisting yourself into a pretzel, and without the painful postures. This unique yoga workout for absolute beginners utilizes a chair to bring the ground up to you – so you can experience every exercise the way it was meant to! Yoga Start is already one of the most popular yoga videos for beginners. Discover all of yoga’s amazing benefits in a safe, low impact way today! Get the video on Amazon now, and if you’re still not convinced, check out the preview below! Think you can’t sweat from yoga? Introducing Yoga Body, our mothership workout system. Sculpt lean muscle mass, shred fat, and tone your core with these highly effective, yet low impact workouts you can use to get that long lean look today. More than just a yoga workout system, Yoga Body is smart fitness. Get that chiseled, lean, swimsuit-ready body you want – while building a sustainable, pain-free body that lasts. Challenging yet achievable. Difficult yet rewarding. And no flexibility required! 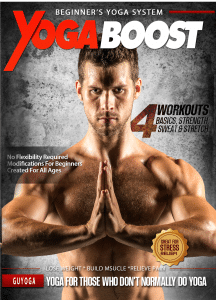 Yoga Body is jam-packed with power yoga workouts for every fitness level. 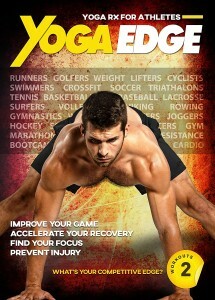 Inside you’ll find Level 1, Level 2, and Level 3 workouts from beginners to advanced. And with separate workouts for the upper body, lower body, and total body, it’s now easier than ever to incorporate yoga into your fitness plan. As a special bonus, this system also comes with a bonus abs section to strengthen your core and tone your abs! Yoga For Athletes is the “rest day” yoga workout you have been searching for. Get in a workout while stretching out your muscles. You’ll relieve tightness and fatigue, balance your body and prevent injuries, and rebuild your muscles faster than you thought was possible. This is the must have DVD for anyone who is working out and getting into shape, who wants a workout to do when they are sore and recovering. If you aren’t that flexible, have never taken yoga in your life and are a little out of shape, this is a great way to get into it. Everything is clearly explained and alternative options are given for those of us who struggle just to touch our toes. Don’t think for a second that makes this a leisurely workout. If you take it seriously, you will notice that you can hold poses longer, stretch a little deeper, breathe a little easier and transition a little smoother every time you do it. After not being able to touch my toes when I started, a few weeks of this and I can easily bend down and touch the floor with my hands flat. I’ve tried other videos and been irritated by the stupid music, breathless whispering of the instructor and inability to explain what the heck I’m supposed to be doing. This really is THE BEST way I’ve found to learn basic yoga poses and get some flexibility back. So flash forward to now, almost a month after I started the program. Do I have Ryan Reynold’s body now? Hardly. However, my flexibility and range of motion is so much better, my muscles are tightening (pants are looser in the waist), I sleep better and just feel better overall. And I am just beginning…I am in this now for the long haul. Not only can I touch my toes, I can actually see them as my belly is shrinking! My biggest advice to couch potatoes like myself is to get the program and DO IT! At such a minimal investment, I have gotten so much out of it. 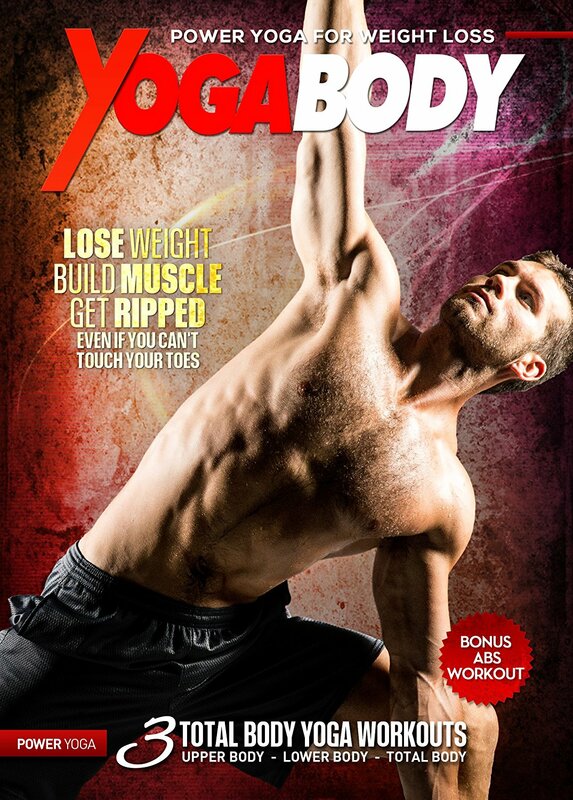 It’s really been a catalyst for me to want to really reap the benefits of yoga….and look like Ryan Reynolds…or Dean! lol I’ll settle for the happier, healthier version of me! Thank you Dean! As a mid-40s man, I have always been active and exercise regularly, mostly weight training and cardio. But with general body soreness and stiffness, the inevitable result of age, I wanted to help loosen myself up. The beginner routine of BBY was free with Amazon Prime. The first time I tried it, I REALLY felt it, so I knew that I should keep going. I did the routine 5-6 days a week for a month. It was great, so I ponied up the extra $ for the full set of 4. I’ve been thrilled with it and I really have seen results. Far less back joint stiffness, more flexibility and balance. It’s also taught me more effective stretches in general. I like Dean’s approach too. Not a goofy faux smooth voice over but an actual person talking to you as you do the exercises. And not a bunch of counting but instructions throughout so you don’t notice how long you are truly holding a pose. Think you can’t sweat from yoga? Think again. See for yourself. Sign up for our newsletter and get 3 free videos e-mailed to you straight away. Four different yoga programs. Choose wisely.